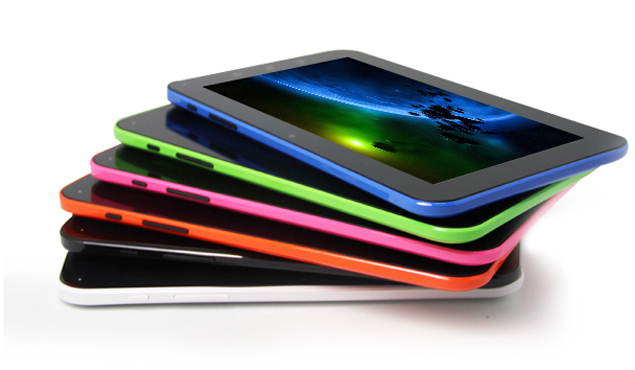 The worldwide tablet grew 11.5% year over year in the third quarter of 2014 (3Q14) with shipments reaching 53.8 million units according to preliminary data from the International Data Corporation (IDC) Worldwide Quarterly Tablet Tracker. Marked by back-to-school promotions and US appetite for connected tablets, the third quarter also saw shipments grow sequentially by 11.2% compared to 2Q14. Despite a continued shipment decline for its iPad product line, Apple maintained its lead in the worldwide tablet market, shipping 12.3 million units in the third quarter. Samsung held its number two position on the market with 9.9 million units shipped, capturing an 18.3% market share in the third quarter. Asus regained its number three position with 3.5 million units and 6.5% share of the market. Lenovo fell back to the number 4 position with 3 million units. It is worth noting that Asus and Lenovo traded the positions they held in 2Q14. The top 5 was rounded out by RCA, which achieved its position by shipping 2.6 million units primarily in one country, the US. Market share for the vendors outside the top 5 continued to outgrow the market, representing 41.8% of total tablet shipments in 3Q14. Apple, during its earnings call, noted that the iPad’s lifecycle is extending. Combined with consumer anticipation and the release of the latest iPhones, IDC saw a decline in overall iPad shipment volume in 3Q14. Although Apple has recently updated and expanded its iPad lineup to its widest offering ever, IDC still expects 2014 to be the year of the iPhone. Samsung has slowly begun to focus on markets like North America and Middle East and Africa (MEA), where low-cost Asian vendors haven’t been able to gain a foothold just yet. Although Samsung’s share declined slightly compared to last year, it was able to experience 5.6% growth and was able to maintain its number 2 rank among the top 5. Lenovo‘s strength in emerging markets has been paying off as they experienced greater than 30% growth and have been able to increase their share by almost a percentage point. Lenovo has also had the benefit of leveraging its brand and strength in the PC business to secure a strong position in the tablet market. RCA. was a surprise entry into the top 5 list due to its distribution deal with some of the largest retailers in the world. With low-cost devices driving volume, RCA’s tablets have been a hit during the back-to-school season and will likely be in high demand during Black Friday and the upcoming holiday season.